He sold his first company at the age of 20 and founded Groupon Malaysia at 26. 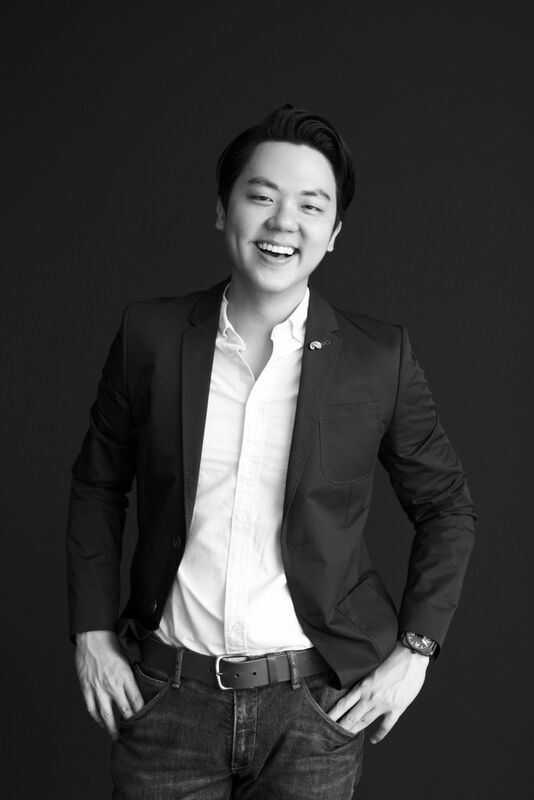 But that was just the start of Joel Neoh’s incredible journey to the pinnacle of Southeast Asian tech: in the last few years, he has launched KFit, a fitness and wellness platform that was later incorporated into his next venture, Fave—a platform for Southeast Asians to save money on food, fitness, travel and more. As well as serving its users, Fave gives back by helping 20,000 businesses in Malaysia, Singapore and Indonesia digitise their offerings. Oh, and that’s not all—Neoh is also a Harvard graduate, a former model who has walked for Guess, Nike and Levi’s, and a reality TV star who won Malaysia's first corporate reality show, The Firm. We sit down with him to find out more about the man with the Midas touch. Can you explain what you do in a few sentences? We help small to medium businesses in Southeast Asia digitise their platforms. We have mobile platforms and super apps that allow them to accept payment, run loyalty and marketing programmes, see data and extend financial services. Trust – our platform is only successful because consumers and businesses trust us. Small businesses. I spent 10 years with tech entrepreneurs and realised I was in a tech bubble, with all these people who didn’t actually have that much experience running a business. But when I look at non-tech entrepreneurs, they’re always 100 percent in—they are out there serving customers and working their hardest. And for a lot of them it’s not possible for them to start an app, so I have created a platform to serve this often very neglected group. What drives me is challenging the status quo and serving the underserved; this is the motivation behind a lot of what I have built. So I’d like to be remembered for achieving that. Eat the frog first. This means always do the hardest thing first. Every day, I list out my priorities, and always move my most difficult task to the top of the list. If you don’t do that, you push it to the next day. Remember how when you’re starting out with something, be it piano or tennis, you’re happy to take advice from a coach? Keep that mentality even when you believe you’re good at something. Other than working for yourself, what was the single most important decision you made that contributed to your success? Executing something rather than just talking about it. Back when I was 20, we all thought of company ideas but not that many of us followed through and launched one. The only difference between me and everyone else was that I took it to the next step, went to the company registrar, set up the company, and the following day, I was an owner. I try to put a different lens on the word failure. It’s very frowned upon in Asia. But then, on the other end of the spectrum, all these Silicon Valley start-ups now actively celebrate it. For me, I need to find a balance between not being proud of failure but seeing it as an opportunity to learn. Because in the end, it’s the speed of failure that is important—well, the speed of bouncing back. If you can do that quickly then you haven’t really failed. Everyone has an extra hour in the day. If there is something I want to do or get done, I find the time. What advice would you give the 20-year-old you? Always be comfortable in uncertainty—life is so unpredictable that there is no point worrying too much about the future. Be comfortable in how uncertain things are. I believe the more confident you are in that, the more successful you’ll be. It was in a book by Jim Collins called Good to Great. It’s the hedgehog concept—look for the intersection of what you’re good at, what you love to do and what makes you money. If you can find that, you won’t feel like you’re working. I feel lucky to have found my own intersection. Nothing specific, but I do think people need to be careful giving advice when they’re not qualified on the subject matter. I remember older mentors telling me that internet start-ups would never work. When people ask me for advice, I always answer it in the context of their lives and businesses, and if I have nothing constructive to say, I don’t say anything. I love trying new diets. I’m currently on a ketogenic diet—which is high fat and low carbs. I’m 6ft and 80kg, so I’m not overweight, but I do it in a group and find it really motivating. Name three qualities every entrepreneur should have. Everyone who wants to launch a business should be humble, hungry and have a heart.